Our 3 antenatal screening programmes have joined forces with the national Screening Quality Assurance Service (SQAS) team to hold 8 regional workshops during 2017. The NHS Antenatal Screening Programmes: Regional Data Workshops 2017 are aimed at stakeholders with designated responsibility for the collation and submission of screening data for the sickle cell and thalassaemia (SCT), infectious diseases in pregnancy (IDPS) and fetal anomaly screening programmes (FASP). The antenatal screening programmes offer a range of screening tests during pregnancy to try to find any health problems that could affect mother or baby. The tests can help parents make choices about care or treatment during or after pregnancy. Only 2 stakeholders can attend per provider trust. Two colleagues from each of the 8 regional SQAS teams can also register to attend. Future workshops are planned for screening and immunisation teams. We reserve the right to cancel bookings from organisations seeking to send more than 2 participants. The workshops are free but capacity is limited. Places will be allocated on a first come, first served basis. It is important that workshop delegates cascade information back to colleagues in their trust to further support data submission processes. Please visit the workshop website to book a place and for further details about the programme. 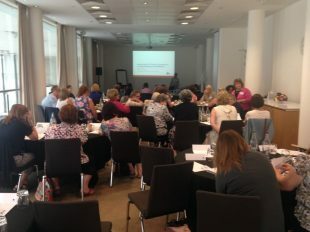 In the meantime, if you have any questions about the workshop, please email: events@phe.gov.uk.